Dr. Lipsey is currently professor emeritus of economics at Simon Fraser University. He is an officer of the Order of Canada, a fellow of the Royal Society of Canada and the Econometric Society, and a past president of the Canadian Economic Society and the Atlantic Economic Society. He also holds honorary doctorates from the University of McMaster, theUniversityof Victoria, Carleton University, Queen's University, the University of Toronto, Guelph University, the University of Western Ontario, the University of British Columbia, Essex University(England) and Simon Fraser University. In 2006, he was awarded the SSHRC gold medal for outstanding life-time professional achievement and in 2011 he was one of the three inaugural fellows elected to the Canadian Economics Society. Dr. Lipsey received his B.A. from U.B.C. in 1951, M.A. from Toronto in 1953 and PhD from London School of Economics in 1957. He was appointed to the staff of the London School of Economics in 1955 and he was appointed to a chair of Economics in 1960. In 1964 he became Chairman of the Department of Economics and Dean of the Faculty of Social Science at the newly founded Universityof Essex, in England. 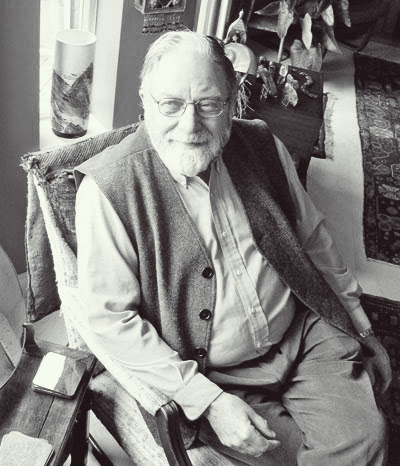 He has also held visiting appointments in England at the Universities of Manchester and City University, in the U.S. at the Universities of California (Berkeley), Colorado, and Yale (where he was Irving Fisher visiting professor in 1979-80), and in Canada at the Universities of British Columbia and Victoria. 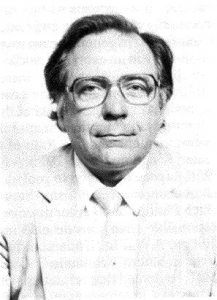 From 1970 to 1986, he was Sir Edward Peacock Professor of Economics, Queen's University, Kingston, Ontario. From 1983 to 1988, he was senior economic advisor for the C.D. Howe Institute where he edited the Institute's Inflation and Trade Monitors. During that time, he co-authored monographs on Canada's Trade Options (with Murray Smith) and on the Canada-U.S. Free Trade Agreement (with Robert York), as well as writing over a dozen articles and pamphlets on various aspects of the free-trade debate. He was a fellow of the Canadian Institute for Advanced Research and the Founding Director of their large-scale, international research project on Economic Growth and Policy from 1989-1994, then a member until 2002. At the outset of his tenure in these positions, he was appointed professor of economics at Simon Fraser University. His work with the Canadian Institute led to the publication of a major book on the causes and effects of large technological shocks entitled, Economic Transformations: General Purpose Technologies and Long Term Economic Growth OxfordUniversity Press, 2005. The book, which he co-authored with two of his former students at SFU, Kenneth I,. Carlaw and Clifford T. Bekar, won the 2006 Schumpeter prize for the best writing on evolutionary economics over the previous two years. Dr. Lipsey has authored several textbooks that are used worldwide and have been translated into over 15 foreign languages. He has published nearly 200 articles in learned journals and books on various aspects of theoretical and applied economics. He is also a frequent commentator on economic policy issues in Canada and in 1982 received, along with D. Purvis, the National Business Writing Award "for distinguished financial writing by Canadians who are not primarily journalists". His monographs on economic policy include, Common Ground for the Canadian Common Market (with Frank Flatters); Taking the Initiative: Canada's Trade Options in a Turbulent World (with M. Smith); Global Imbalances and U.S. Policy Responses (with M.Smith); Evaluating the Free Trade Deal: A Guided Tour through Canada-U.S. Agreement (with Robert York); The NAFTA: What's In, What's Out, What's Next (with Daniel Schwanen and Ronald J. Wonnacott). Three volumes of his selected works have been published by Edward Elgar Publishers in the U.K. under the titles Microeconomics, Growth and Political Economy; Macroeconomic Theory and Policy; and On the Foundation’s of Monopolistic Competition and Economic Geography. For full intellectual autobiography taken from "Selected Essays of Richard Lipsey Volume One & Two," Edward Elgar Publishers, please click on Intellectual Autobiography.